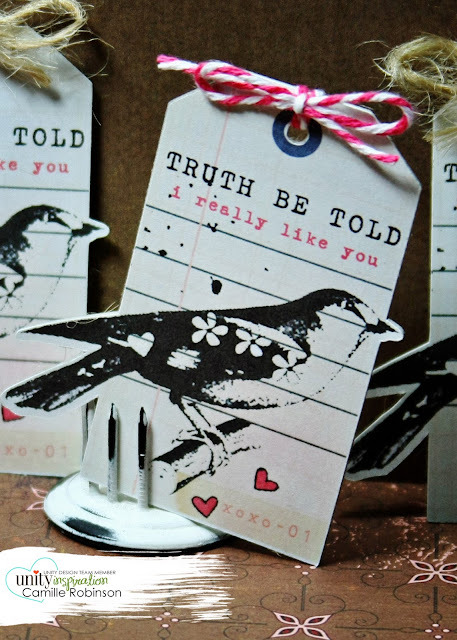 It’s SUNDAY morning which means it’s time to reveal the NEW Stamp of the Week, “Truth Be Told”. 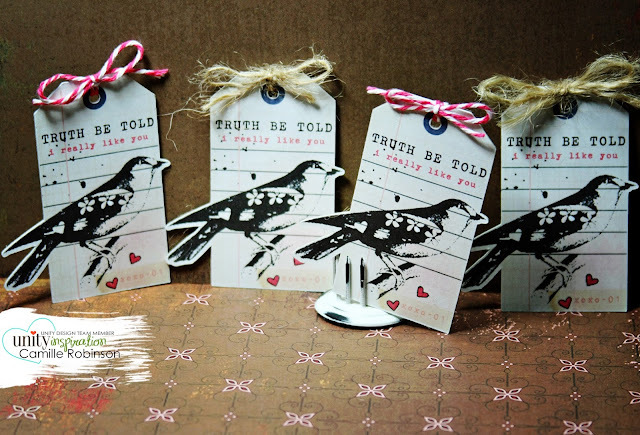 Here’s some chipboard tags I adorned with this week’s Stamp of the Week and it’s beautiful message. Wouldn’t you love to get one of these and know someone really likes you? You wouldn’t have to send it or give it away for a special occasion—just for no reason at all. This could make someone’s morning, afternoon, day, week, etc. What an awesome gesture that would be! Here’s a close-up of one of the tags. If you become a subscriber, it’s like having inspiration in your mailbox every week. Clicking on the image below will take you to the Stamp-of-the-Week subscription page at Unity Stamp Company. 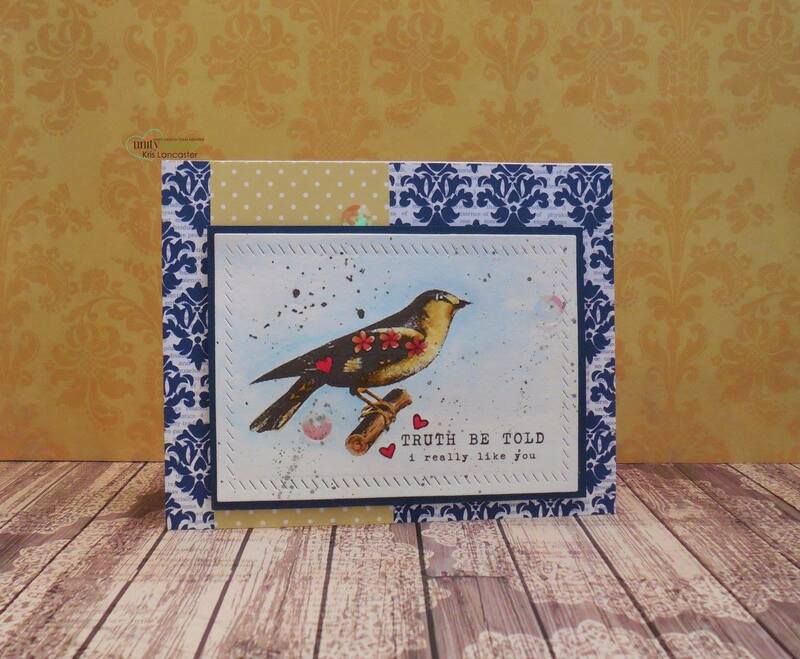 If my tag didn’t inspire you to become a subscriber, Kris Lancaster made a GORGEOUS card! Just click HERE to get the details of this exciting weekly membership. 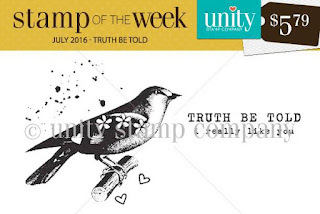 Each week there is a NEW Itty Bitty exclusive to the Stamp-of-the-Week subscribers. No one else gets these but YOU as a Stamp-of-the-Week subscriber. Go sign up and have a fabulous weekend.